Once the Phillies were eliminated, it was time to focus on the future. Several moves have taken place and chances are none will return to the Phillies, but you never know. J. C. Romero, Jamie Moyer and Greg Dobbs have departed. While they may be gone, they won’t be forgotten as they were members of the 2008 World Champion Phillies. They will forever be remembered and revered because they are champions. For decades, the 1950 Whiz Kids lived in the memory banks of our fans. Then, the 1980 World Champions. Father Time has reduced the Whiz Kids to a few and the ’80 bunch are now 30 years removed from their Broad Street parade. But, the 2008 champs are fresh in our minds and will live there for many generations. Thanks, J. C., Jamie and Greg. You’ll always be in our hearts. Well, it is World Series time. Unfortunately for Phillies fans, we’ll have to watch on TV this year. With two teams west of the Mississippi in the WS, I’m afraid interest on the east coast will be minimal. Mike Lopresti is an entertaining sports columnist for the Gannett Company. He has a different flair for writing and many times comes up with the unusual, which I enjoy. A couple of days ago he wrote about the Rangers: “Feeling a little Texas Rangers-challenged as the World Series nears?” was his lead. He then listed 25 Rangers facts of varied significance. **Leadoff hitter Elvis Andrus led the majors in one category this season. He had 588 at-bats and did not hit a home run. **GM Jon Daniels got his job at age 28. That’s younger than seven of the Yankees’ starters in the Rangers’ clincher last Friday. **Team president Nolan Ryan struck out 5,714 batters. His 500th was a Minnesota Twin named Charlie Manuel. **The Rangers went from first to third on a single 122 times this season–22 more than any other team in baseball. **In the 15-team Cactus League–spring training in Arizona–Texas finished last (10-19-1); SF finished first. **After the Cliff Lee trade, Lee started seven home games for the Rangers and they averaged 36,677. When he didn’t pitch, 30,384. **Bengie Molina is a catcher for the Rangers. Before July 1, he was a catcher for the Giants. So he will reportedly get a World Series championship ring no matter which team wins. **The Rangers have lost seven straight games to the Giants in interleague play. **The Ranges’ inaugural game in Texas was postponed by a players’ strike. **Their last game as the Washington Senators ended in a forfeit, when fans poured onto the field in the ninth inning. **No rookie closer ever had more saves than the 40 by Neftali Feliz this year. **Of the previous 49 Texas-Washington seasons, 32 finished with losing records and 36 at least 10 games out of first place. Times have changed. Busy media day at Citizens Bank Park. Ruben faced the media for 30 minutes starting at 11 this morning; clubhouse was open to media for the next 30 minutes; Doc (12:30) and Jayson (1) were in the Media Room in the afternoon. Todd Zolecki will cover all of this on this site. About one-third of the players came in Sunday and cleaned out their lockers. The clubhouse has a normal look when a season ends: filled boxes, empty boxes, packed bat bags, personal suite cases, a box where players toss their used equipment they won’t be needing. The ground crew is working on the field, de-thatching, aerating, seeding, etc. Mother nature will wash away the logos painted on the field for the postseason. Red, white and blue bunting still hands from the Suite Level but it will be coming down. **In 2010, among other things, overcame a ton of injuries to win a tough division, had a perfect game, a postseason no-hitter, played hurt and packed the house. **Came closer to defending their WS championship than any team since the 2001 Yankees who fell one game short of repeating. All kinds of attendance records were set in 2010 at Citizens Bank Park. Dan Goroff, the veteran Director of the Ticket Department, pointed out that if you add the on-deck series, the three Toronto games in June that were shifted to Citizens Bank Park, the regular season and the postseason, the total comes to 4,093,327. Again, thanks to all you out there for your Phillies passion. * Came closer to defending their WS championship than any team since the 2001 Yankees who fell one game short of repeating. There’s a reason no NL team has been to three straight World Series since the 1942-43-44 Cardinals. It ain’t easy. The underdog Giants ended the Phillies hopes of history with another one-run win last night on our turf. Say hello to a Rangers-Giants World Series on FOX. Give the Giants credit. They weathered a boisterous crowd, one that had “this place shaking” in the first inning said broadcaster Scott Franzke. The Phillies had scored twice on three hits in that inning. The offense which has been consistently inconsistent did just that, not scoring the rest of the night. They were 2-11 with runners in scoring position, 0-8 after the first inning. An offense that produced 25 postseason homers a year ago, fell 21 shy of that total. Again, give the Giants credit. Over the six games, they hit better, pitched better and played better defense. Two years ago Lidge was a perfect closer. Wilson has taken over this year. While it will take time to get over the disappointment, the 2010 season should be cherished. Injuries dominated. A starting eight that included seven All-Stars was hardly intact for most of the season. In July, it looked like they had no chance of reaching the postseason. But, something happens after the All-Star break with this bunch. They stormed back and won the division for the fourth straight year, a franchise first. They swept the Reds but couldn’t conquer the Giants. 2010 was a long, roller-coaster journey that ended not like everyone had wished. 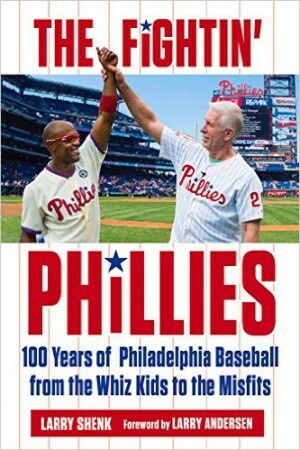 On paper, the Phillies had their best team in franchise history. But, baseball isn’t played on paper. That’s baseball. Over the next few days, players will come in an empty and quiet clubhouse and pack for the off-season, their first without a World Series appearance since 2007. There are free agents. Some may stay, some may go. The top three rotation starters are all back, which is good. This team will be good again, enough to challenge for another postseason berth. Look on the bright side….only 156 days until opening day in 2011! Here we are, Game 6 tonight. Hope the Giants packed ear plugs because the passionate Phillies fans will be pumped. Charlie and a player are scheduled to appear in the Interview Room at 4 p.m., with Bochy and a Giants player at 5:30. Sometimes I think MLB gets carried away in having these daily interview sessions. Charlie was there after Game 5, again yesterday afternoon and yet again today. What questions can the media ask today that they didn’t ask yesterday? Phillies are 2-2 in Game 6 of the postseason. In 1980, they won the World Series and in 1993, they won the NL pennant. In 1993, they lost the World Series in Toronto and a year ago, the Yankees won the WS. Phillies are 0-2 on this date in their postseason history. The 1993 World Series loss at Toronto came on this date and two years ago, the Phillies bowed to the Rays, 4-2, in Game 2 of the WS. What a gritty, gutty performance by Doc. Watching the game on TV, he didn’t have his usual crisp location or zip on his pitches. Then, after the game we learned that he had a groin injury in the second inning. He bent but didn’t break and the Phillies are still alive. Big game for Jayson, both on defense and offense. Lights out by the bullpen and a long flight home was much more enjoyable. They landed around 6:45 a.m. and will have the day off. Except for Charlie and Roy-O who will be in the Media Room this afternoon starting at 3:30 p.m. Bochy and Sanchez, the Game 6 starter, will appear in the Media Room later in the afternoon. Last night’s win was the Phillies’ seventh straight in Game 5 of the postseason, a major league record. FOX had a graphic late in the game: “The Phillies have had 15 three-game winning streaks this baseball season (regular and postseason), most in the majors.” Well, let’s home we up that number to 16. Phillies are 1-0 in their postseason history, winning WS Game # 1 two years ago in St. Petersburg, 3-2. Citizens Bank Park is very queit today. That’ll change tomorrow for Game 6! Oh, there will be a tomorrow. Trust me. Only we’ll know tonight if tomorrow means the Phillies are still alive or their 2010 season has ended. Lots of finger-pointing last night, mostly at Charlie. Heck, he didn’t throw a pitch or swing a bat. It was a game filled with odds and ends: Blanton threw two wild pitches in 175 regular-season innings and had a pair in the first inning that led to a run . . . There were two walks to start an inning that ended up in SF runs . . . The Phillies had a runner thrown out at home plate; the Giants scored a run on a bang-bang play at home plate . . . The Phillies offense came alive yet with Werth on second following a game-tying double with nobody out in the eighth inning, the Phillies couldn’t get that sixth run . . . It ended with Game 2 starter (Oswalt) taking the loss in the last of the ninth. So far in the series, the Phillies have scored in 7 of 35 innings. The Giants, 11 innings. Tim McCarver pointed out another oddity in the Phillies inconsistent offense: Francisco’s lead-off single in the fifth inning last night was the first hit to start an inning for the Phillies since Oswalt singled to begin the seventh in Game 2. The Series was billed as a pitching matchup, the Phillies top three starters against the Giants top trio. Well, that’s where we are again. “Giants starting pitcher (Bumgarner) left with a 2-1 lead with two outs in the top of the fifth inning, and then in the bottom of the inning, Phillies starter (Blanton) was removed from the game with two out and Philadelphia holding a 4-3 lead. That marks the first time in major league history that both starting pitchers were lifted from a postseason game one out away from being eligible for a victory. Want a good omen? The Phillies are 3-0 on this date in their postseason history: in 1980, they won their first World Championship at the Vet; in 1993, Schilling threw a shutout when the Phillies were facing elimination in the WS against the Blue Jays and a year ago, the Phillies won their seventh NL pennant with a 10-4 win over the Dodgers. Most people felt this NLCS would be all about pitching. Well, after the Giants have a 2-1 game lead, that prediction seems pretty well in order. The Phillies are actually out-hitting the Giants, .194 to .189, but trail in the Series. Over the last three seasons, the Phillies as a team batted .199 at AT&T Park. Well, that trend continued yesterday as the Giants blanked the Phillies. Last time the Phillies were shut out in the postseason was Game 5 of the 1983 World Series, 5-0, by the Orioles. The Giants got three, two-out singles in two innings for their three runs. The Phillies finished with three singles for nine innings and went 0-for-5 with runners in scoring position. It was their lowest hit total since they were eliminated by the Rockies on three hits in Game 3 of the NLDS three years ago. SF starters have now worked 22.2 consecutive scoreless postseason innings at home. So, the Phillies are facing a must-win game tonight. Joe B, who hasn’t started since September 29, will be on the mound against a rookie lefty whom the Phillies haven’t seen. The Phillies are 0-1 in their postseason history on October 20. It was a defeat that stung as the Phillies saw the Blue Jays score six times in the eighth for a 15-14 win at the Vet in the 1993 World Series. There’s an MLB baseball program for kids called Pitch, Hit and Run. Well, say hello to Roy-O. He pitched, hit and ran during last night’s win that evened the series and sent both teams on charter flights to San Francisco. For the Phillies, the five-hour plane ride on a Delta charter was much more enjoyable than being down 0-2. Roy-O was dominant as a pitcher, allowing one run, another home run by that Cody Ross, who thinks he is Babe Ruth. Perhaps we should roll the ball to home plate when he comes to bat. Roy-O also singled and scored a run while running through a stop sign by third base coach Sam Perlozzo. J-Roll got the big hit (bases-clearing double) that broke the game wide open. Game # 2 hasn’t been the most successful venture for the Phillies. They entered last night only 3-15 in their postseson history. That includes 1-7 in the NLCS and losses in their previous four. While the Phillies and Eagles didn’t go head-to-head as they did the previous Sunday, the Phillies had a 33.7 rating and 47 share. For the Eagles’ 1 p.m. game, 28.0/54. Both teams will work out at AT&T Park, the Phillies at 2 in the afternoon and the Giants at 4. Interview room schedule includes Charlie, Cole, Bochy and Cain. The Phillies had the second-best road record in the NL, 43-35 (San Diego, 45-36). They’ll need that as they haven’t fared well in this 10-year-old park, 14-24. The Giants were 49-32 at home this season, among the top seven teams in the NL. When first opened, the park was called Pacific Bell Park. Then SBC Park and AT&T Park since 2007. Right field foul poll: 309. The Park is built adjacent to San Francisco Bay. 77 home runs have splashed into the bay, an area called McCovey Cove. Of those 77, 55 by the Giants. The Phillies have not made a splash but have given up three (Nelson Figueroa, Jose Mesa and Rodrigo Lopez). Between the Park and McCovey Cove is an area called the Portwalk. Fans can walk along this area and take in the scenery of the Bay Bridge and much more, including peeking through the fence to see the game. There are four statues honoring Hall of Famers who played for the Giants, Willie Mays, McCovey, Orlando Cepeda and Juan Marichal. 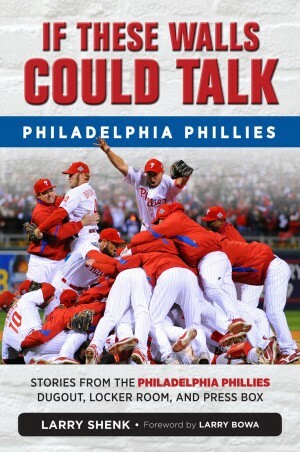 1-1 in the Phillies postseason history, losing WS # 4 in 1980 and winning NLCS # 3 a year ago against the Dodgers. The streak has been broken. After winning Game 1 of seven straight postseason series, the Phillies’ streak ended last night, another one-run win for the Giants. In the last 17 NLCS, the team that has won the first game has gone on to win the series 15 times. So, we’ll change that. Sanchez tonight is tough, great breaking pitches. Their hottest pitcher. He’s done well against the Phillies and at Citizens Bank Park. So, we’ll change that. Usual media interview room sessions pre-game, managers and a player from each team.. Both teams will leave after the game for a long flight to the west coast. Both will work out Monday at ATT&T Park. More on that ballpark tomorrow. The Sarge, Gary Matthews, MVP for the Phillies in the 1983 NLCS win over the Dodgers, gets the honor tonight of throwing out the ceremonial first ball. Ballclubs decide on the honorees and then submit the names to MLB for final approval. Phillies are 1-1 on this date in their postseason history. They lost in 10 innings at KC in 1980 in WS # 3 and won, 6-4, at the Vet against the Blue Jays (WS # 2) in 1983.